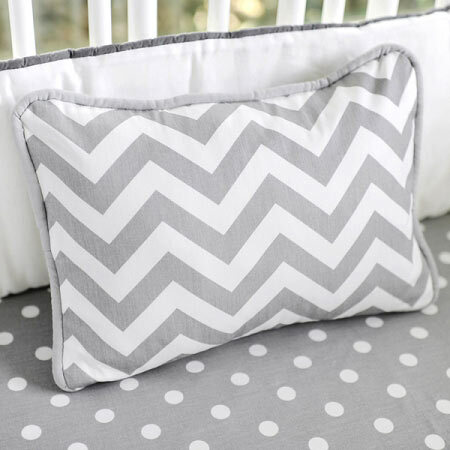 With a chevron patterned design, this gray chevron baby bedding set is perfect for a neutral nursery! 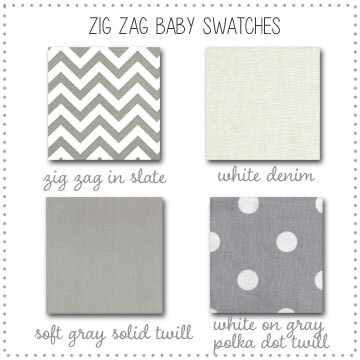 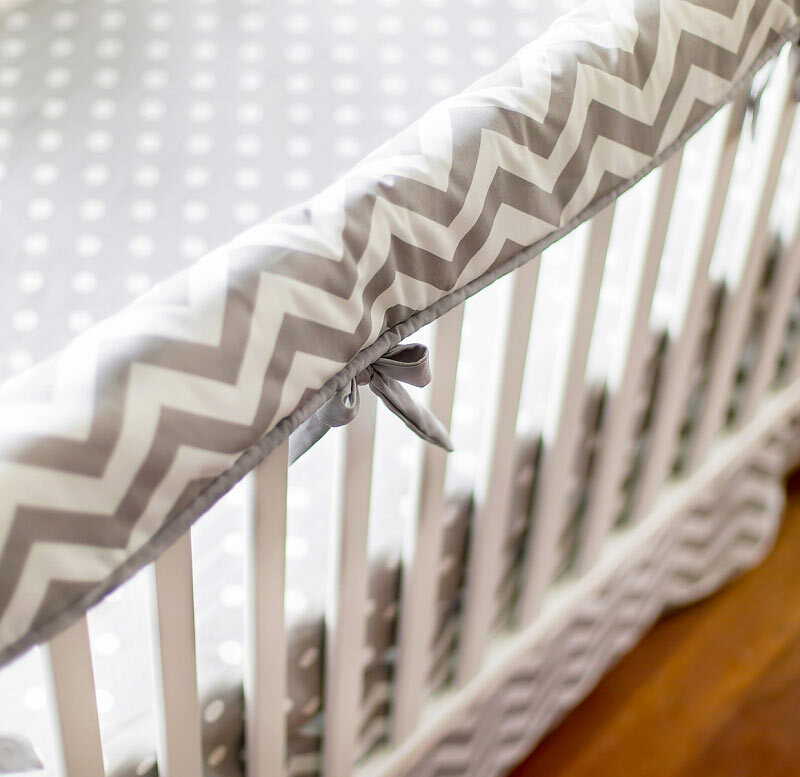 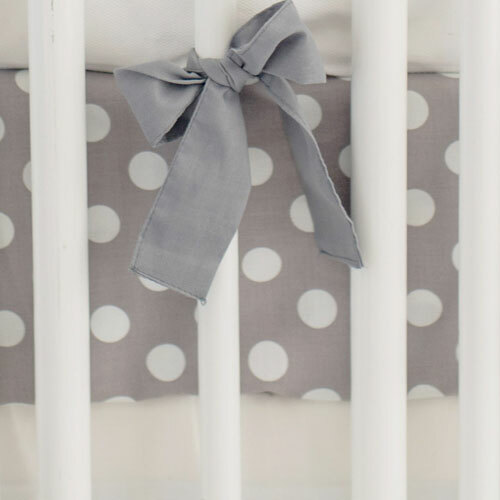 Our Zig Zag Baby in Gray Crib Collection is chic and simple, and easily updated with a pop of color. 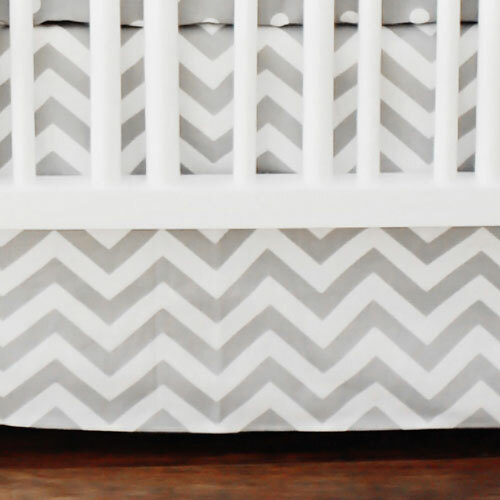 Aqua, orange and pink all coordinate well with this chevron gray crib bedding set. 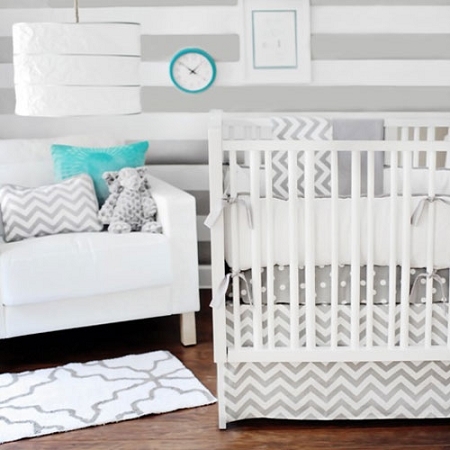 With crisp white and neutral gray, this set can give your chevron nursery a chic, modern feel. 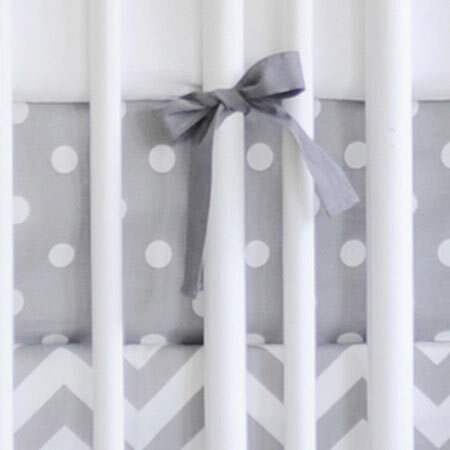 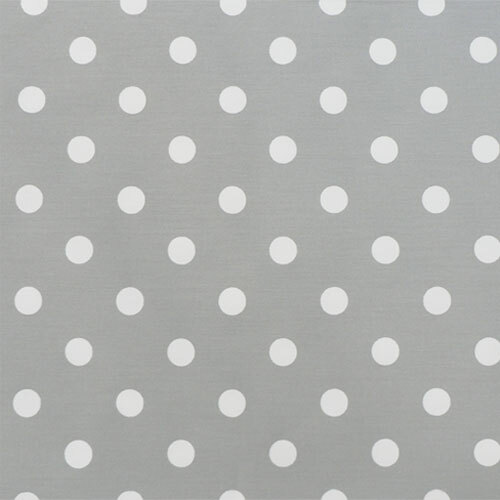 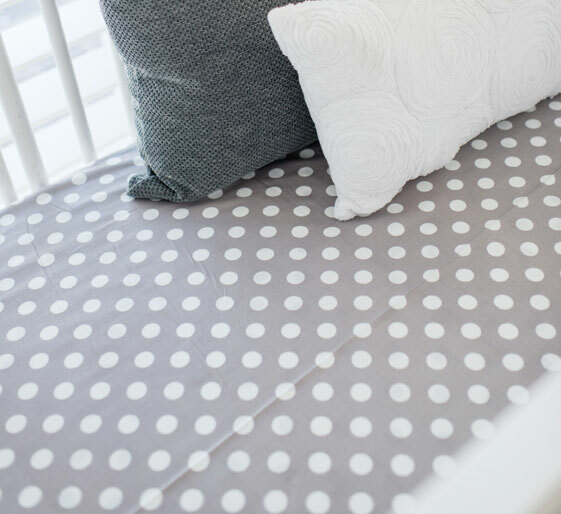 Our Crib Rail Covers are a great option for bumperless designed baby bedding, and will keep your baby from chewing on the crib. 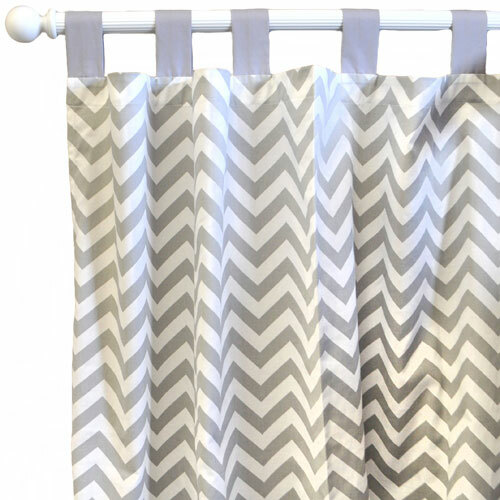 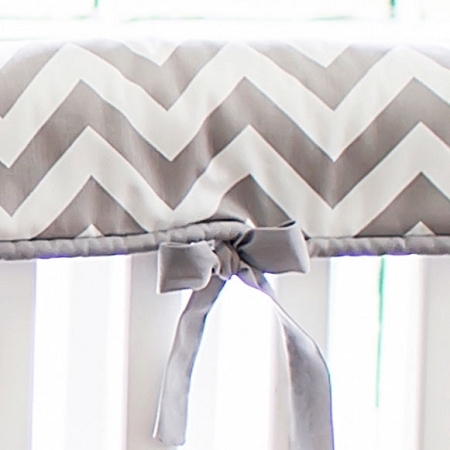 • Gray Chevron Crib Rail Cover Dimensions: 51" long by 11" deep. 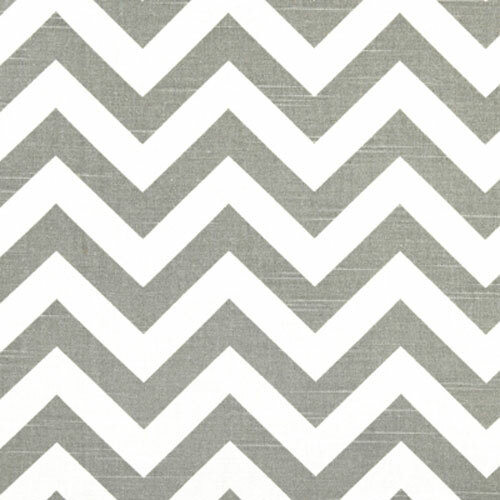 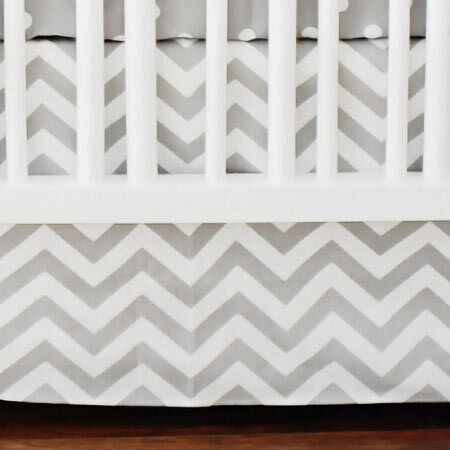 • Gray Chevron Crib Skirt drop length is 17". 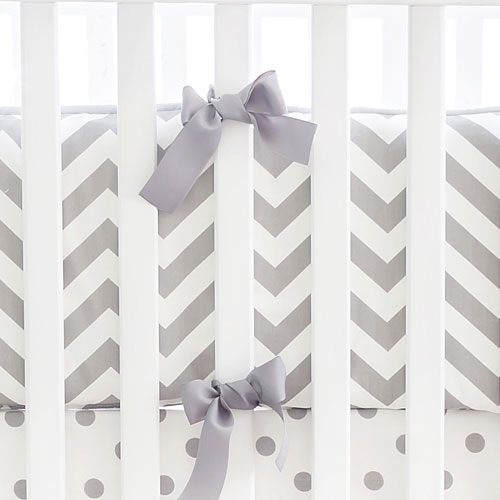 • Gray Chevron Patchwork Crib Blanket is 36" by 36", with flannel backing. 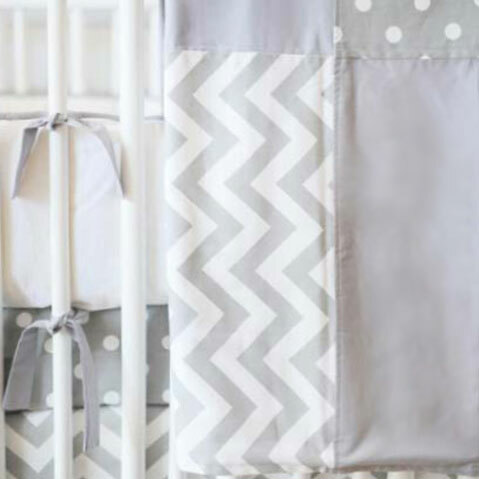 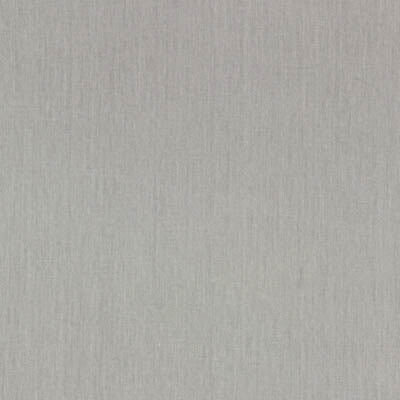 If you prefer a crib bumper for this gray crib bedding set, please see our Zig Zag Baby in Gray Baby Bedding Collection. 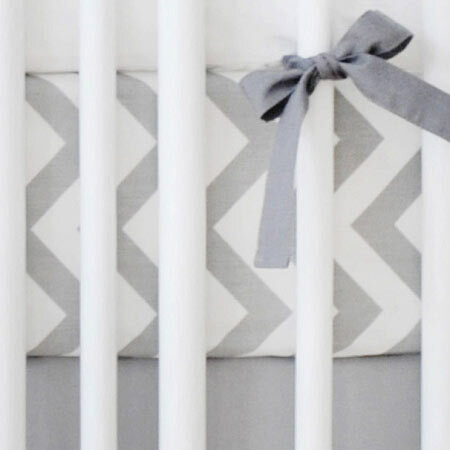 Coordinate your gray chevron crib rail set with accessories shown below.